The National Safety Council (NSC) has just released a report revealing that traffic deaths rose yet again in 2016. Among the greatest contributors to traffic deaths was drunken driving. A union between a federal safety agency and a research group focusing on drunk driving testing could yield a solution to this issue. 2015 was the first year in 50 years where deaths on the road increased over the previous year’s total. Now, it appears that traffic deaths have gone up for a second straight year, causing the highest number of roadway fatalities since 2007. The NSC released its preliminary estimates of total motor vehicle deaths in the US, showing that 40,200 people died in auto accidents in 2016. This is a 6% increase over 2015’s total, and a 14% increase over 2014’s total. Deborah Horsman, the president of the NSC, noted that over 90% of all traffic deaths can be attributed to a human error, and that lawmakers and drivers alike need to take responsibility for the continual rise in traffic deaths. “Our complacency is killing us. Americans believe there is nothing we can do to stop crashes from happening, but that isn’t true. We lag the rest of the developed world in addressing highway fatalities,” she stated during a recent press conference. 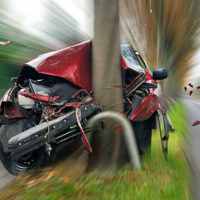 To wit, the top three factors present in over 85% of all fatal accidents are alcohol use, speeding, and distracted driving, with 30.8% of all driving deaths attributable to alcohol use. In an attempt to address this problem, the National Highway Traffic Safety Administration has teamed up with the research group Driver Alcohol Detection System for Safety (DADSS). DADSS is currently investigating systems which could come installed in vehicles and would automatically test the blood alcohol levels of drivers through either their breath or touch to determine if they are safe to drive. Rather than simply disabling the vehicle entirely, these systems would allow the engine to start so that drivers could turn on the heat and air conditioning and charge their phones, but not to drive. DADSS has teamed up with two auto accessory manufacturers to create prototypes of the systems, which would be sold as an optional safety feature in cars akin to automatic braking or lane-departure warning systems. If you’ve been the victim of a crash in Idaho caused by a drunk driver or an otherwise careless driver, contact the seasoned, knowledgeable, and trial-ready Twin Falls personal injury lawyers at Pedersen & Whitehead for a consultation on your case, at 208-734-2552, and in Boise at 208-336-2552.